Toys are your kids’ best playmates at home, aren’t they? You don’ t need to wait for an occasion o gift your sweet kid something. The toddlers are so fond of soft toys, and hence they make the best surprise gifts. While you go home from office today, you can take a cute teddy and see the joy on the face of your little one. We have plenty of ideas to make your kid’s day. 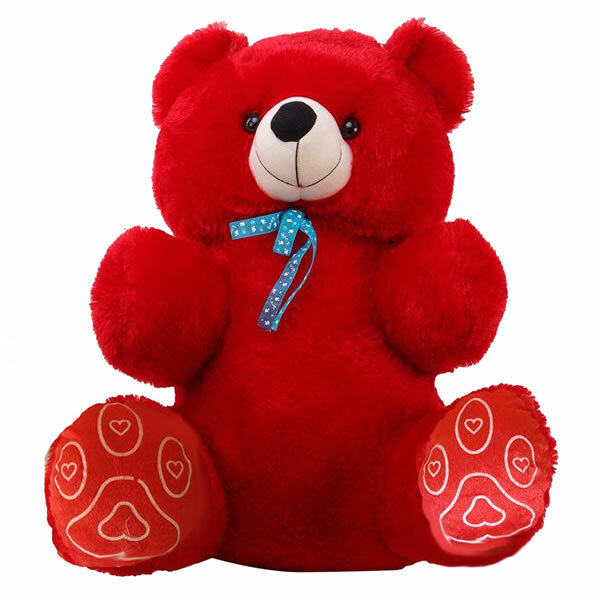 Take a look and enjoy your teddy bear online shopping. Teddy bear with chocolate basket: Your kid loves chocolates too. If you are confused whether to gift a teddy or chocolates, we have a solution. You can think of a combination of two and gift her teddy with a chocolate box. She will be delighted to grab both and what more do you need! Joy on the face of your kid means everything to parents. Flowers with teddy bear: You may think of presenting fragrant flowers to your kid too. 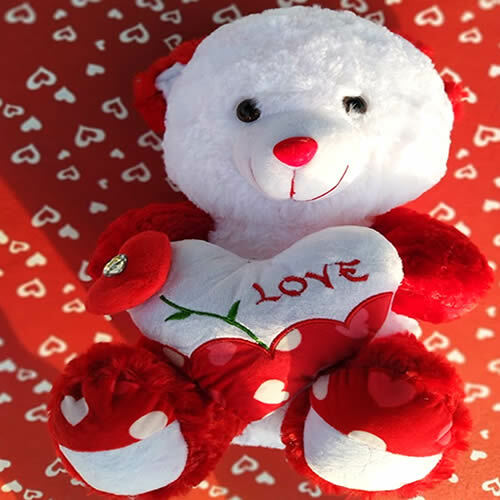 On GiftJaipur you can find teddy bear with roses. 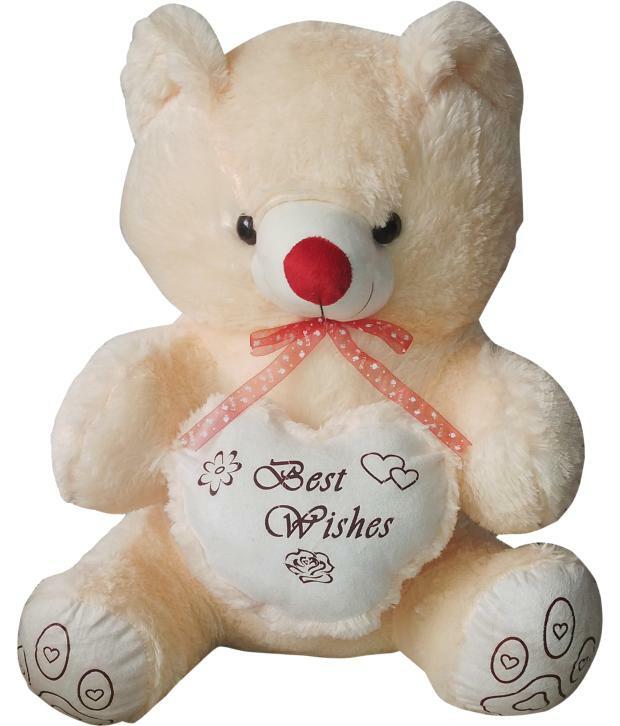 Think of what kind of teddy will be most loved by your young one and select accordingly. 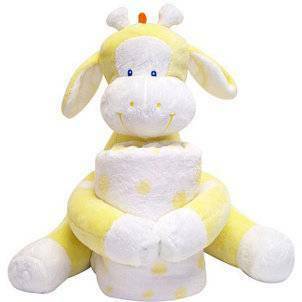 This will be your best experience of shopping soft toys online. Big teddy bear: Does your kid take teddy to be a real playmate? Then you are at right place. You can get a teddy bear up to five feet high and see how your kid will love walking, dancing and playing with this cute member of her family. If your kid is too young, he can also take this big teddy bear for support in walking. That will be fun added learning for your kid. Since soft toys don’t hurt, your kid is safe with them and also feel the warmth of the teddy. ? Teddy bouquet: If your kid is very fond of teddy bears , then obviously one will not be sufficient. You can find a beautiful teddy bouquet just made for your lovely kid. A cute teddy bouquet for a cute kid will be an awesome gift ever. You can select to have four or more teddy bears in the bouquet. Don’t wait now, today while returning from your business tour, you can order for one and we assure that the gift reaches your kid before you. Teddy bear with balloons: Kids love toys of all kinds. Another favourite of them is balloons. Let your kid and his new teddy play with balloons as much they want. Your kid will dance to the surprise gift and you will definitely feel freshened up after long day’s work to see the happiness of your little one. You can take some time and play along. Children don’t need more from you. Soft toys online: So far we used to crowd toy shops and we had limited options. But now you have a facility to buy the teddy bear online. 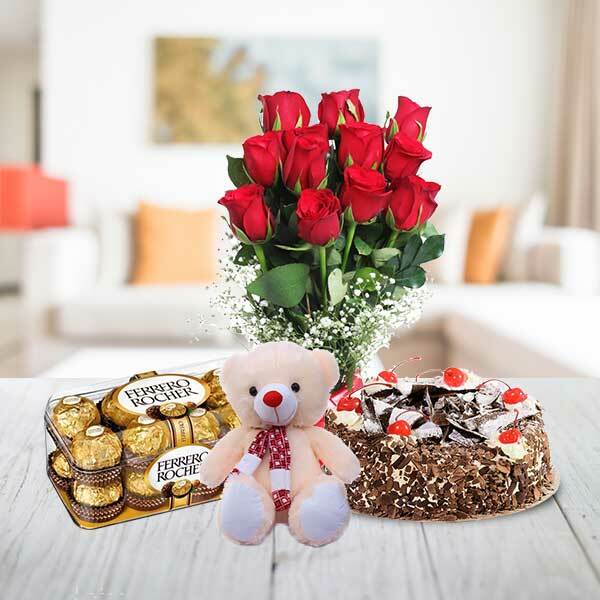 You can have customised gifts here such as making a combination of flowers with teddy bear; or preparing a cute and attractive bouquet of teddy bears. All kids love teddy bears. Further, if the teddy is big enough, the child would also love to play and sleep with it. Sometimes you may have to go away from your children for work. Let your kid enjoy your company in your absence too. 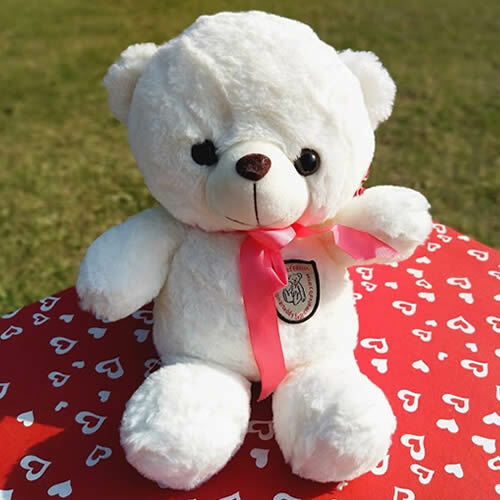 The gift of teddy will fill your gap and your baby would feel your warmth in the form of this adorable soft toy. GiftJaipur wishes to be a part of your sweet moments, and is always ready to assist you. We assure you timely and careful delivery. So what are you waiting for? Bring the softness home today!